The best way to get to know a community is by scheduling a tour. 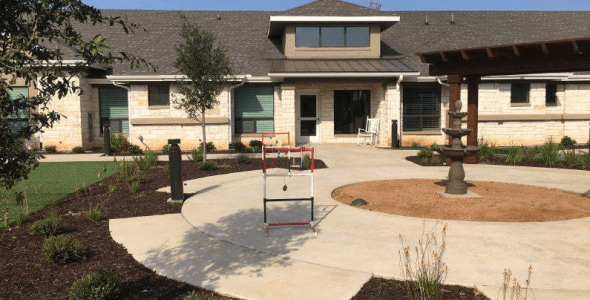 See the facilities, meet the staff and residents, and get a feel first hand what it's like to live at Long Creek Assisted Living & Memory Care Assisted Living. This brand new Community, Long Creek Assisted Living and Memory Care are designed to promote the active engagement of our senior residents and to encourage the natural and necessary social interaction between our cherished community members and staff. We offer a variety of senior living activities and daily elder care programs to enhance the lifestyle of each resident. Our overall desire is to see that our assisted living and memory care residents live each day with passion and purpose, rich in fullness and enjoyment. At Long Creek Assisted Living and Memory Care, our staff is readily available to assist with the daily functions that can become challenging and oftentimes difficult. Our senior housing community staff is committed to providing our assisted living residents with the necessary support to address basic senior living needs, bathing, dressing, grooming and more. Engaging Activity Programming — creating assisted living activities that engage the mind and encourage interaction Private Dining Accommodations for Special Occasions — In addition to our customizable dining options, we also offer private dining room accommodations for special occasions. Routine Laundry and Housekeeping Service — Our senior living staff will take care of daily housekeeping and laundry service, returning laundered clothing and linens, folded and ready for storage. Transportation Service — Our shuttle service is available to transport residents to local shopping centers, physician’s offices and nearby attractions. By creating activities designed to stimulate the mind within an environment rich in engagement and interaction, Long Creek memory care residents readily embrace our programs and thrive in an atmosphere of familiarity and comfort. Our Long Creek memory care program is strategically designed to give our residents the support and love needed to guide them through the different phases of dementia and memory loss. By creating activities designed to stimulate the mind within an environment rich in engagement and interaction, Long Creek memory care residents readily embrace our programs and thrive in an atmosphere of familiarity and comfort. Within our Memory Care and Alzheimer’s Care Neighborhoods, we offer private rooms, studio and one-bedroom apartments, as well as companion suites. In addition, we also offer the following amenities to lend enjoyment to everyday living and healthy maintenance.